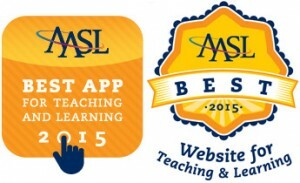 AASL revealed its 2015 Best Apps for Teaching & Learning and Best Websites for Teaching & Learning during the ALA Annual Conference in San Francisco. 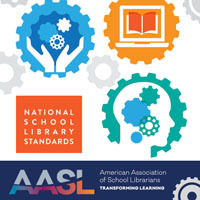 The lists provide technology resources for school librarians and their teacher collaborators and are considered the “best of the best” by AASL. 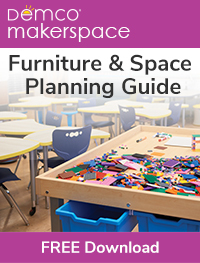 Kahoot, Remind, Seesaw, Skitch, Spider Scribe Jr.
Descriptions and tips for each list can be found at www.ala.org/aasl/bestapps and www.ala.org/aasl/bestlist. 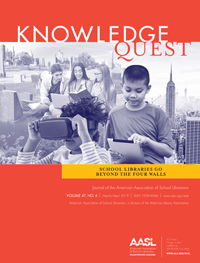 Both lists are based on feedback and nominations from the field and can be submitted at www.ala.org/aasl/bestapps and www.ala.org/aasl/bestlist. To be considered for recognition at the 2016 ALA Annual Conference, nominations must be submitted by March 1, 2016.